How do we explain Yugo Eat? 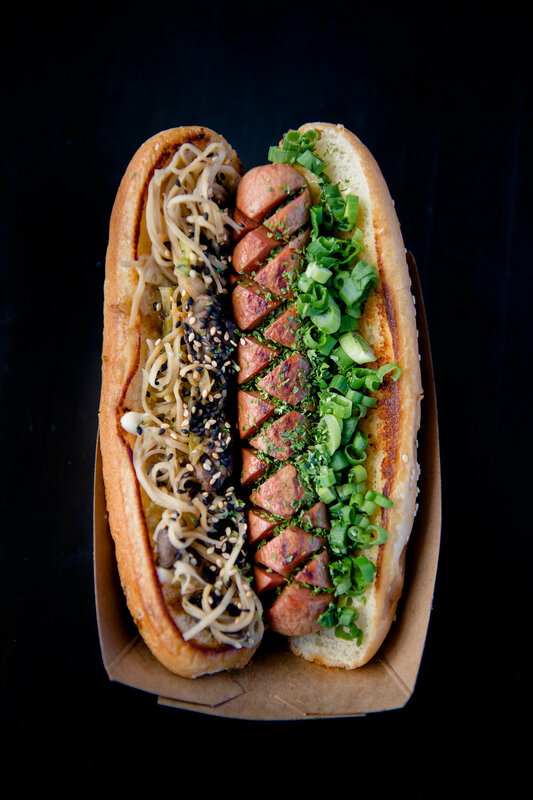 Ever eaten an Asian infused hot dog prepared from the back of a Japanese firetruck.? "YUGO " is the phonetic spelling of "Fusion" in Japanese. Essentially a play on the saying "You Go Eat". Chef Blake's asian fusion inspiration comes from his passion to travel and explore the culinary world. After an extensive culinary journey through Southeast Asia and Japan he found a special connection to the flavours of that area of the world and has since come back to Canada to share his taste of Asia in collision with north american classics like hot dogs and popcorn.